Félix Solís SL winery was founded in April 1975 and lies along the current national road that links Madrid to Cadiz. The winery is one of the largest family-owned wineries in the world and is fitted with the most modern production and storage facilities. It also hosts Félix Solís Avantis management and logistic head offices. In addition to its large catalogue of wines recognized as Valdepeñas Denominación de Origen, Félix Solís, S.L. also produces wines under the classifications Vinos de Tierra de Castilla, table wines, mostos (must or grape juice), and sangrias. Our expert oenologists combine traditional vine cultivation methods with modern wine making technology to make our wines. The Solís family owns (500 hectares) and is associated to another 5.000 family-owned vine growers. From vine to bottle, this winery has the best equipment to ensure quality control at every stage of the process. The harvest takes place between the second fortnight in August and the beginning of October. Thanks to a carefully handpicked harvest, we can ensure a top-quality wine. The rest of the process lies in the hands of our expert oenologists who rigorously control every step. The best grapes from the vineyards of the “Valle de las Piedras” ripen under the radiant sunshine of this region in central Spain. This wine is a Chardonnay varietal. A grape variety that has recently been introduced into this region in Spain with limestone and clay soils that perfectly suit its growing requirements. Ayrum has been born to give a new “air” to traditional wine making. With the maximum respect to indigenous varieties, technology and expertise have come together to give birth to a modern style of wine, suitable for international taste. The Cabernet Sauvignon grapes are grown under the cold winters and very hot summers that characterise the extreme continental climate of this region. The grapes are grown in old, low growing vineyards of 6 000 ha and we have refined this wine to express the rich fruit intensity of blackcurrants, with a smooth velvety texture through generations of careful winemaking. Tempranillo and Grenache grapes mature to their best under the sun and the chilly nights in “Valley of the Rocks” (Valle de las Peñas). Ver Viña Albali Tempranillo – Organic Wine Bag in box 3 L.
Through generations of careful wine making we have applied our expertise to refine the expression of this international grape to exhibit the lively fruity intensity of fresh apples and honeydew melons rounded by its underlying richness. Diego de Almagro has been born to conquer palates from all over the world. With the maximum respect to indigenous varieties, technology and expertise have come together to give birth to a modern style of wine, suitable for international taste. The varieties of Grape Verdejo and Sauvignon Blanc are assembled in this wine from Tierra de Castilla region. A fruity, fine and clean wine that preserves the characteristics of each grape variety. White Peñasol takes its name from the place where it has been elaborated: the sunny Valley of the Rocks, the ancient name of Valdepeñas, by the river Jabalon’s banks. The wine is made from Airen, the indigenous grape from Castilla-La Mancha. Ver Viña Albali White – Organic Wine – Bag in box 3 L.
Generations of conscientious wine making have refined this wine to express the vibrant red berries and crispy summer fruit flavours of this traditional grape variety. Don Quixote battled the giants that turned out to be windmills, and that currently compose the most typical image of La Mancha in history books. The giants were baptized with the names of Burleta, Infante and Sardinero. Los Molinos Rosé is as delicate and fresh wine as a white, but with the structure of a good red. Tempranillo grapes mature to their best under the sun and the chilly nights in “Valley of the Rocks” (Valle de las Peñas). Casa Albali Red is a wine elaborated with a selection of grapes from the best of the family Solís’ own vineyards in Valdepeñas. Diego de Almagro Crianza is made exclusively from Tempranillo grapes and is aged according to the guidelines for a wine with a Crianza status. Viña Albali Reserva is made from a selection of only the best Tempranillo grapes chosen from old vineyards with a small production. Having spent time ageing in oak barrels this variety produces wines with intense ruby red fruit aromas and hints of vanilla and spices. Only the very best Tempranillo grapes are selected from our own vineyards to ensure we have the foundation to create this sophisticated wine that is full of the luscious notes of vanilla and spices. Diego de Almagro Gran Reserva de Familia is created using the very best grapes from exceptional vintages, from our own estates. 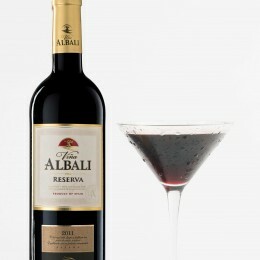 Viña Albali Frizzante is an aromatic beverage, sweet and very light.It is made using Tempranillo grapes. Provetto Sec is a delicious sparkling wine made from selected grapes from Valdepeñas, where sunny hot days are predominant. The ideal drink to share with friends on a day to day celebration. A lively fizz, perfect for celebrating the everyday. 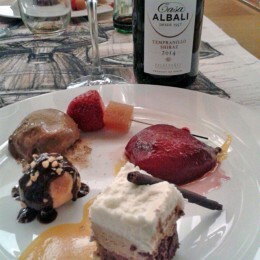 The Viña Albali brand continues to innovate and this season we have a new sparkling wine. Made by Charmat Method using premium quality grapes, Viña Albali Rosado Sec has been carefully crafted to complete this family of wines. The result is a refreshing and fruity wine. Peñasol Red Prisma takes its name from the place where it has been elaborated: the sunny Valley of the Rocks, the ancient name of Valdepeñas, by the river Jabalon’s banks. The wine is made from Tempranillo, the indigenous grape from Castilla-La Mancha. Peñasol White Prisma takes its name from the place where it has been elaborated: the sunny Valley of the Rocks, the ancient name of Valdepeñas, by the river Jabalon’s banks. The wine is made from Airen, the indigenous grape from Castilla-La Mancha. Peñasol Red Semi Sweet Slim takes its name from the place where it has been elaborated: the sunny Valley of the Rocks, the ancient name of Valdepeñas, by the river Jabalon’s banks. The wine is made from Tempranillo, the indigenous grape from Castilla-La Mancha. 13 bottling lines for different formats. Bottling capacity: 150,000 units an hour. The largest automatic and temperature-controlled wine warehouse in Europe with capacity for 45,000 pallets. An immense barrel cellar that contains 50,000 American oak barrels. One laboratory equipped with the latest technology. Our wines are carefully analysed under European regulations and meet quality standards. Total storage capacity: 220,000,000 litres.